Glass window hanging, approx 20cm, with wire whiskers. Hanging loop and ribbon provided so that cat can be hung in window or against a wall. 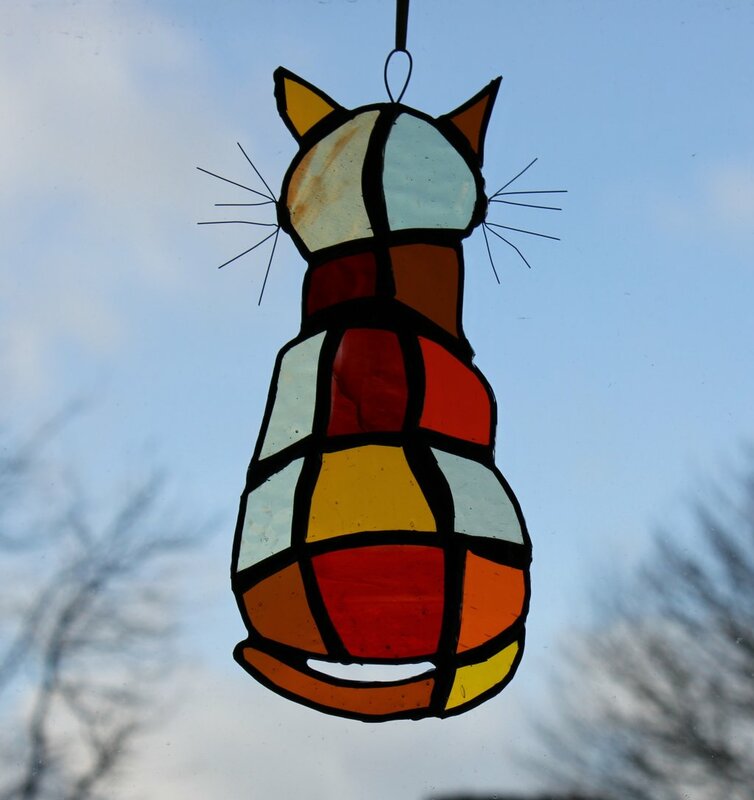 Shades, texture and layout of glass will vary as each cat is made individually. Shades and types of glass will vary as each item is made individually.